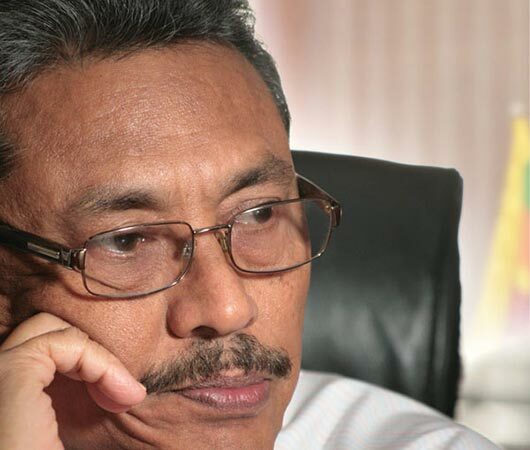 The former Defence Secretary Gotabhaya Rajapaksa filed a fundamental rights application against the Financial Crimes Investigation Division (FCID) challenging the legality of its establishment on Monday (11). In addition, Rajapaksa requested than an interim injunction be issued against the FCID taking him into their custody. This application is to be taken up before a three -judge bench of the Supreme Court, today (13). Justices Eva Wanasundera, Buwaneka Aluvihare and Sarath Abrew will hear the petition, reliable sources disclosed to Ceylon Today Online. In his petition Mr. Rajapaksa has cited Prime Minister Ranil Wickremesinghe, the Cabinet of Ministers, the Presidential Secretary, the IGP, the Director of the CID and the DIG in charge of the FCID as respondents.